NEW BREMEN, Ohio (January 22, 2015) – Crown Equipment Corporation, one of the world’s largest material handling companies, recently extended its legacy of design excellence by winning its 14th GOOD DESIGN™ Award from the Chicago Athenaeum: Museum of Architecture and Design and The European Centre for Architecture Art Design and Urban Studies. Honoring the Crown GPC order picker with QuickPick® Remote technology, the award program’s jury recognized Crown for its dedication to design that challenges traditional thinking. Crown’s approach to design focuses on ideas for improving lift truck operator productivity and safety, based on a thorough understanding of the operator-forklift relationship. 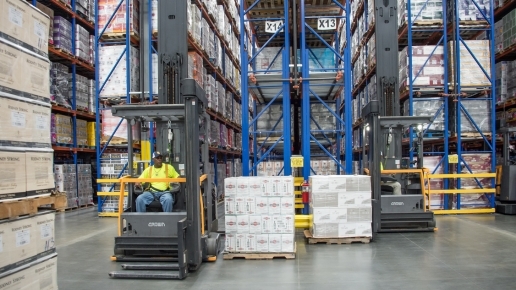 In developing the Crown GPC, the company leveraged research showing that operator time spent off the forklift can be as much as 90 percent of the picking cycle. To help reduce fatigue and improve productivity, Crown designed its GPC order picker with QuickPick Remote technology to advance to the next picking location with the touch of a button on the wireless remote, removing the need for operators to climb repeatedly on and off the truck’s platform and keeping their hands free for actual order picking. 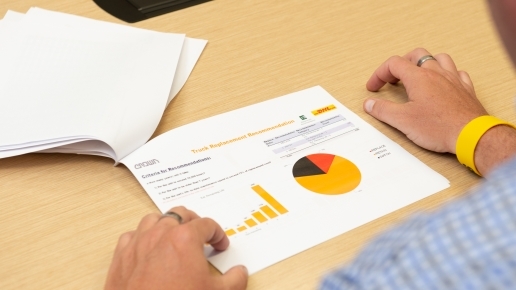 Long-term tests by Crown customers found that overall productivity improved by an average of 10 percent, with some companies reporting up to a 25 percent improvement. During the test week for the International Forklift of the Year Award 2014, the Dutch independent journalist Theo Egberts, owner of Buro Andersom and Andersom Testing, extensively evaluated Crown’s QuickPick Remote system. Crown’s forklifts and material handling technologies have earned more than 80 awards from design associations and institutions since 1965. Founded in Chicago in 1950, GOOD DESIGN remains the oldest and most recognized program for design excellence worldwide. In 2014, the Museum received submissions from thousands of the world’s leading manufacturers and industrial and graphic design firms from more than 48 countries. A full list of this year’s award winners can be found at https://chi-athenaeum.org/about-good-design.html.